A small, slender amphibian, the Shenandoah salamander is only about 4 inches in length. It is dark brown with white or yellow spots along its sides and either brass-colored flecks or a red to yellow stripe on its back. This salamander has only been found on three mountains, all within the boundaries of Shenandoah National Park in Virginia. Shenandoah salamanders spend their days under rocks or logs in forested areas. At night, they forage on the forest floor. These salamanders are lungless, so they must remain moist to allow respiration to occur through their skin. The Shenandoah salamander’s range is restricted to the north-facing slopes of three mountains in Shenandoah National Park. It lives on talus — areas of broken rock — at elevations of over 3,000 feet. 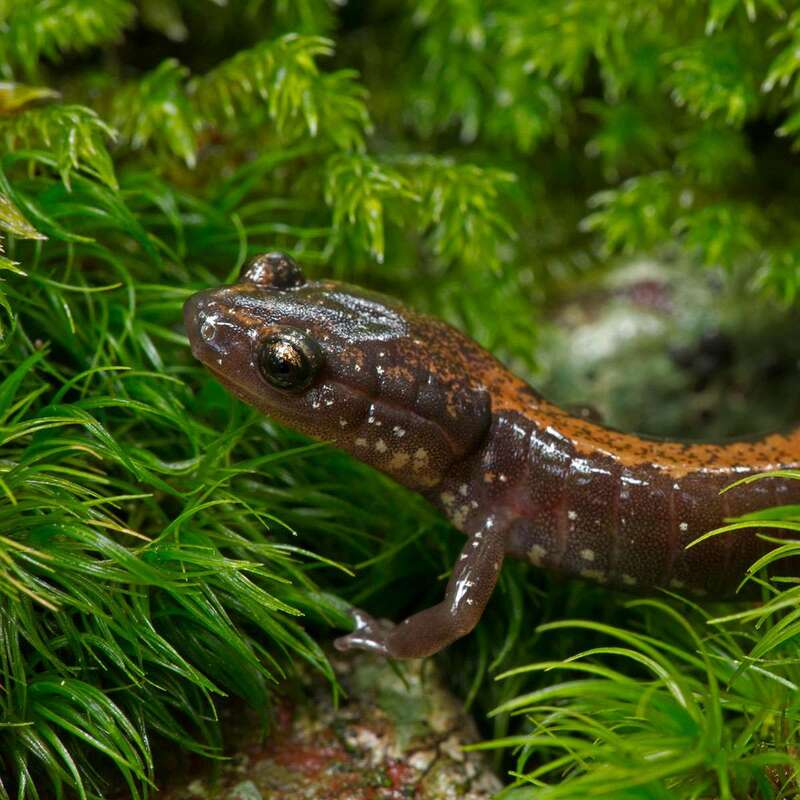 While the Shenandoah salamander’s habitat is now protected within a national park, past timbering and other activities may have reduced the species range. 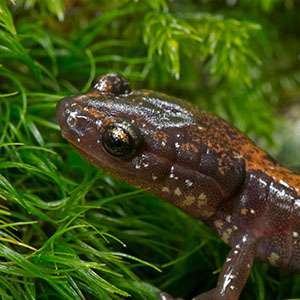 Now the salamander’s primary threat is from competition with the red-backed salamander, which has a higher tolerance for dry conditions. As the talus in which the Shenandoah salamander lives breaks down and suitable habitat decreases, more red-backed salamanders are able to move in to compete for the habitat that remains. The recovery plan for the Shenandoah salamander includes monitoring known populations, determining whether additional populations exist, and ensuring human-related impacts, including airborne pollutants and park management activities, are minimized. Monitoring the Shenandoah salamander also allows researchers to study its interactions with the competing red-backed salamander. Take action to protect Shenandoah National Park.